While most allies agreed that up to a point sanctions could have a positive effect on Iranian behavior, they argued that overly severe measures could cross a threshold that would not only fail to produce a strategic advantage but could backfire by inviting a sharply negative Iranian reaction. In March 1996, a cable from the U.S. Embassy in Paris to Secretary Christopher quotes French President Chirac as saying “it would be very dangerous to isolate Iran totally; experience proves that the U.S. embargo benefits only the extremists.” Chirac and other European leaders at the time preferred to pursue a “critical dialogue” with the Islamic Republic that combined pressure with communication. Today’s posting includes a number of additional State Department cables, many of them substantially excised, that nonetheless provide important background for understanding subsequent U.S. thinking about sanctions toward Iran, as well as background for today’s announcement that the United States has moved to restore certain trade sanctions against Tehran. On Monday, August 6, 2018, the United States re-imposed some of the sanctions that have been suspended since 2015 as part of the Joint Comprehensive Plan of Action. In light of this policy change, it is valuable to remember how previous administrations have approached Iran sanctions. The National Security Archive, through Freedom of Information Act requests, has obtained documents detailing President Bill Clinton’s strategy for implementing sanctions against Iran during the mid-1990s that may be useful for current and future administrations. The documents illustrate not only how the U.S. has justified its Iran sanctions to its allies, but how the international community responded to requests to refrain from expanding trade with Iran and to implement similar measures. Successful sanctions require close cooperation with allies—particularly the Europeans. A number of cables sent from American Embassies around the world show that allies believed that any successful sanctions regime against Iran must have the support of European governments and firms—and many were unwilling to participate themselves in the absence of such European support. Convincing U.S. allies to support and participate in sanctions against Iran is an enormous diplomatic undertaking that often requires coercive tactics. Communications between the State Department headquarters in Washington and American Embassies abroad show that the process of garnering international support for sanctions constituted a concerted and persistent diplomatic campaign that often involved coercing close U.S. allies to act in ways that undercut their own perceived financial and security interests. Close regional allies warned U.S. officials against implementing overly burdensome sanctions because excessive pressure might discourage positive changes in the Iranian regime’s behavior. Among the documents is a cable from the American Embassy in Abu Dhabi in which an Emirati official suggested that the pressure of sanctions led Iran’s leadership to suspend some of its regional policies which the U.S., EU, and other Gulf Nations opposed—yet warned U.S. officials against implementing more sanctions exceeding this pressure point. They also show clear parallels between the Clinton approach to an Iran sanctions regime and that of Barack Obama’s administration a decade later. The Clinton documents are available to read in their entirety at the end of this post. The Trump Administration’s May 2018 decision to pull the United States out of the 2015 Joint Comprehensive Plan of Action (JCPOA) made headlines with its promises of a tough new sanctions regime against Iran. Secretary of State Mike Pompeo announced in a May 21 speech that the U.S. plans to impose “the strongest sanctions in history” on Tehran; on May 8—the day before the announcement was made that the U.S. would be leaving the JCPOA—President Trump declared in an official statement that he planned to institute “the highest level of economic sanctions” ever. Despite strong rhetoric, the current administration’s Iran policy is extremely similar to its predecessors—at least in how it defines the threat posed by Iran and, to some extent, what the outcomes of U.S. sanctions against Tehran ought to be. In a June 11, 2018, statement, Assistant Secretary of State for International Security and Nonproliferation Dr. Christopher Ashley Ford explained that the “threat presented by Iran’s missile development, and its proliferation of missiles and missile technology to regional actors” as well as “the threat presented by Iran’s sponsorship of international terrorism,” “regional destabilization,” and human rights abuses are the Administration’s primary concerns about Iran post-JCPOA. These concerns are not new; they are echoes of issues raised by every American President since the 1979 Islamic Revolution. Assistant Secretary Ford claims that the U.S. “needs an approach that addresses Iran’s destabilizing behavior while putting a nuclear weapons capability permanently out of reach.” This approach is also a continuation of the long-standing “dual clocks” strategy of the U.S. toward Iran— expand the amount of time it takes for Iran to obtain a nuclear capability and shorten the time it takes for Iran to curb its unsavory regional behavior and join the community of nations. Previous administrations, however, specifically the Obama administration, were not adamant about a permanent ban on an Iranian nuclear weapons program. To understand and assess the validity and possible efficacy of President Trump’s proposed sanctions, it is useful to examine how recent administrations have built and sustained sanctions regimes against Iran. While much attention has been paid to the Obama administration’s approach, most notably the U.S.-led international sanctions leading up to the negotiation and implementation of the JCPOA, it is helpful to reach further back—specifically to President Bill Clinton’s administration. Though most associate President Clinton’s Middle East policy with the Israeli-Palestinian peace process, his administration spent a substantial amount of diplomatic time and resources on trying to contain Iran through a variety of sanctions—and even more energy trying to get U.S. allies to follow suit. The Clinton documents obtained by the Archive corroborate this sentiment; they illustrate that sanctions were always intended to serve as a complement to engagement and make diplomacy more effective—not replace dialogue altogether. The importance of the “pressure plus persuasion” tactic is expressed in a January 1996 diplomatic cable sent from Secretary of State Warren Christopher’s office to the American Embassies in Tokyo and Canberra. On U.S. sanctions against Iran, the Department writes: “We do not view such pressure as an alternative to dialogue. In fact, we have consistently said that we ourselves are willing to engage in dialogue with an authorized representative of the Iranian government. Rather, we urge our friends to add a component of economic pressure to their dialogue as a means to make it more effective. Without it, their dialogue is indistinguishable from ‘business as usual.’” (Document 08) There are two key takeaways from this statement. First, it reiterates the idea that sanctions are merely one part of a dual strategy that includes diplomacy. Second, it goes even further to say that sanctions are meant to make dialogue and engagement work better; they are supposed to compound the effects of diplomacy, not replace it altogether. This same combination of economic pressure and diplomatic persuasion was at the core of the Obama administration’s “dual track” Iran policy—“keeping engagement as a possibility, while pushing for new sanctions.” The dual track policy was pursued by President Obama even after a number of failed diplomatic overtures in the first two years of his presidency; his administration simultaneously escalated the severity of sanctions starting in November 2009, all the while pressing their Iranian counterparts for diplomatic concessions during various negotiations leading up to the implementation of the JCPOA in 2015. Again, the administration’s stated goal of pursuing a sanctions regime was to make diplomacy more effective. Jake Sullivan, a senior advisor to both Joe Biden and Hillary Clinton, told author and Iran expert Trita Parsi that “the real metric for us was not so much an economic metric, but the metric of whether the Iranians would begin to seriously talk about the kind of constraints on their program which would be necessary.” (Parsi, 119). The logic of this approach, then, was to leverage the pressure of sanctions to encourage Iran to honestly participate in negotiations. The Clinton documents show that the general consensus within the international community at the time was that totally isolating Iran was neither possible nor desirable. Similar concerns about total isolation of Iran are expressed in a June 1995 cable from the American Embassy in Abu Dhabi to Secretary Christopher. In this document, the comments of a UAE official (name redacted) on the possibility of escalating U.S. sanctions against Iran are summarized by the U.S. Ambassador: “If Iran were pushed over the brink, he argued, the aftermath could pose risks for the entire region” and “he feels it is neither necessary nor desirable for the U.S. to take additional measures against Iran.” (Document 04) The Emirati official argues that the current level of U.S. pressure on Iran was just beginning to have its desired effect. “As evidence, he cited (1) statements by Iranian officials backing away from the Rushdie Fatwa and (2) a less threatening Iranian posture in the waters off Abu Musa.” (Document 04). In both of these examples, U.S. allies warn the Clinton administration against escalating its sanctions regime against Iran to the point of total isolation. At the heart of both the French and Emirati arguments is the idea that a certain amount of pressure below total isolation yields desirable policy results. For the French, it was the release of religious minorities from the death sentence; for the Emiratis, it was the softening posture of Iran on a crusade against a targeted author, Salman Rushdie, and taking fewer aggressive measures in Abu Musa—an island that was the source of a territorial dispute among Gulf nations. Suffice it to say, U.S. allies believed that all of these examples demonstrated significant changes in Iranian behavior and constituted major foreign policy wins. Thus, the documents show that the desire to exile Iran from the international community simply did not exist because of the view that total isolation did not pose any strategic advantages. Instead, they illustrate the widely-shared belief that a certain pressure point exists at which the Iranian regime may be willing to change its behavior in meaningful ways. This is perhaps why the Clinton administration’s approach to building a sanctions regime was gradual. In 1995, when Iran signed a $1 billion contract with American oil company Conoco, President Clinton responded by prohibiting U.S. companies from engaging in Iranian petroleum development. A few months later, he implemented a “total trade and investment embargo on Iran,” followed by the passage of the Iran and Libya Sanctions Act (ILSA) “to press foreign companies not to invest in Iran’s oil and gas industry, the main source of the regime’s income.” President Clinton started by instituting sanctions that only targeted sensitive materials, then gradually escalated pressure in lieu of starting with an all-encompassing approach. Where the Clinton documents show allies warning against totally isolating Iran for fear of missing out on positive changes in Iranian behavior, the Obama administration exercised restraint and took the gradual approach out of fear of negative repercussions within the international community. In both cases, the lesson for Clinton was clear—the total and complete isolation of Iran from the rest of the world through a crippling sanctions regime was both impossible and undesirable. An additional theme that pervades the Clinton documents is the overwhelming conclusion by both administration officials and U.S. allies that the efficacy of a sanctions regime against Iran would be contingent upon universal participation—with a particular emphasis on the importance of European involvement. During the years covered by these documents, 1995-1996, the European Union policy toward Iran was one of “critical dialogue.” This policy meant that the Europeans sustained diplomatic relations with Iran, but used that relationship to challenge those policies they opposed, including the regime’s human rights record, support for international terrorism, and the nuclear program. Thus, after the Clinton administration imposed a virtual trade embargo with Iran and before Congress passed ILSA, U.S. diplomats around the world were having conversations with their counterparts about how to convince the international community—especially the E.U.—to adopt similar policies. American officials expressed similar sentiments. 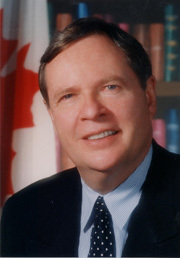 In a June 1995 cable from Secretary Christopher’s office to the American Embassies in Muscat, London, and Paris and the Gulf Collective, Assistant Secretary for Near East Affairs Robert Pelletreau “stressed that the U.S. hasn’t asked that others follow our lead in applying a full embargo on Iran, but we ask our friends and particularly the Europeans to discourage companies from filling in behind U.S. companies, to not increase oil exports from Iran, and to not extend credits or financial assistance.” (Document 03) Again, Pelletreau’s words show that the Clinton administration understood the importance of international cooperation with a sanctions regime and, like Foreign Secretary Siazon, singled out the Europeans as a particularly important part of a sanctions policy that would actually put enough financial pressure on the Iranian regime to change its behavior. It was not until 2007 that the E.U. changed its policy of critical dialogue; the Europeans determined that dialogue alone was not sufficient to induce Iranian cooperation with its international obligations under the Nuclear Non-Proliferation Treaty (NPT) and began to work with the U.S. to implement U.N. sanctions. By the time President Obama took office, sanctions against Iran were already a normalized part of European foreign policy. After his initial attempts at meaningful diplomacy with Iran failed, President Obama implemented a sanctions regime that was similar to President Clinton’s—but this time, he had the support of the E.U. and the United Nations. Europe and other countries with powerful economies had already imposed sanctions against Iran surpassing the requirements outlined in U.N. Security Council resolutions. Consequently, “major multinational firms decided that Iran’s market was not worth the trouble.” Obama thus worked with E.U. allies to outline a new sanctions regime, culminating in the passage of Security Council Resolution 1929 on June 9, 2010. Like Clinton before him, Obama was convinced of the significance of universal participation and working with U.S. allies in Europe and around the world to implement meaningful sanctions against Iran. Although President Obama had the support of the E.U. and the U.N. for sanctions against Iran, the process of convincing other U.S. allies to participate in sanctions against Iran was an enormously challenging diplomatic undertaking for the administration—one that often included coercion and threats of secondary sanctions that interfered with the foreign policies of some of America’s closest allies. The documents illustrate that the same was true for the Clinton administration; asking allies to implement sanctions, or even to merely restrict trade and dialogue with Iran, was often seen as contrary to the geo-strategic and economic interests of those nations. The June 1995 cable from the American Embassy in Manilla to Secretary Christopher discussing the U.S. trade embargo on Iran notes that President Fidel Ramos told Assistant Secretary Constable “that the Philippines maintained some contact with Iran, principally in the interest of trying to encourage cooperation in the Philippine efforts to fight terrorism and in furthering the peace process in the Philippines.” For these reasons, President Ramos was unwilling to suspend trade and cooperation with Iran but “said he understood the U.S. point of view and wished us well.” (Document 02) Thus, the U.S. argument for international sanctions was not viewed as compelling because it would impede the Philippines’ ability to work with Iran on key national security issues. A year later, when the Clinton administration was seeking international support for ILSA, it faced resistance from Germany. In a March 1996 cable from the American Embassy in Bonn to State, the U.S. Ambassador wrote that “Foreign Office interlocutors are concerned with Iranian rhetoric and over the worsening of German-Iranian relations.” He went on to note that all of the German government coalition parties were solidly behind the policy of critical dialogue, citing those who “favor continuing to pursue Germany’s commercial and financial interests with Iran.” (Document 10) This cable illustrates that the majority of the German government assessed that losing the country’s financial relationship with Iran was not a risk it was willing to take, despite pressure from the U.S. Asking countries to support U.S. sanctions despite these conflicts of interests resulted in tensions with key allies—a source of concern for a number of officials within the Clinton administration. A set of State Department documents from 1995-1996 related to Canadian reactions to the implementation of ILSA includes a letter from the Canadian Ambassador to the U.S., Raymond Chrétien, that highlights the Canadian government’s “strong objection” to the legislation: “As you know, Canada shares many of the aims of U.S. policy toward Iran and Libya and we have worked strenuously to advance our objectives through multilateral and bilateral channels. Unfortunately, unilateral and extraterritorial action by the United States…can only detract from the possibilities for political cooperation with the United States regarding these countries.” (Document 12) Ultimately, the process of trying to gain international support for a stringent international sanctions regime against Iran was not easy; it created tensions with important American allies around the world and was a source of division within the Clinton State Department. Even though sanctions against Iran were normalized in E.U. foreign policy by the time President Obama took office, he still spent a significant amount of diplomatic energy and effort convincing other major U.S. allies to join in the U.S.-led international sanctions regime. Obama administration officials describe the enormity of this undertaking. “In 2011, every bilateral meeting that the president had with an important country, Iran sanctions were the top issue,” Deputy National Security Advisor Ben Rhodes explained. “This was extraordinary” (Parsi, 120-121). For example, the administration was particularly resolved to gain the support of South Korea and Japan—two countries for whom Tehran constituted a significant portion of their Middle East trade. “Nonetheless, South Korea also desperately needed American support to deter North Korea. Similarly, Japan depended heavily on Washington’s support against Beijing and Pyongyang…. At the same time, Obama subtly threatened that if Japan and South Korea did not comply with the United States, they themselves would be subjected to U.S. sanctions” (Parsi, 121). Ben Rhodes’s use of the word “extraordinary” is no exaggeration. That President Obama was willing to threaten Japan and South Korea with sanctions, arguably the two most important American allies in the region—on whom we rely for both trade and security cooperation—is remarkable. However, it illustrates just how strongly he felt that sanctions could not work without universal support. Nonetheless, it was an extremely risky diplomatic choice and required persistent persuasion, pressure, and attention. 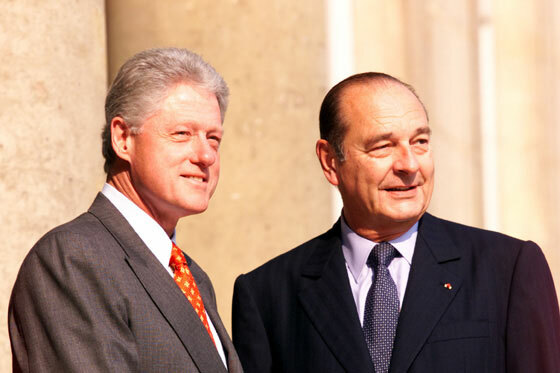 Former French President Jaques Chirac (right) opposed the Clinton administration’s stringent sanctions against Iran, arguing that total isolation of Iran would be dangerous. 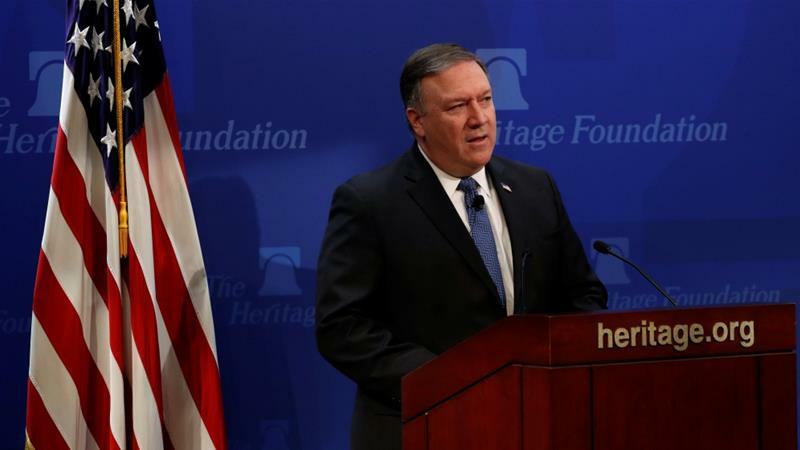 Secretary of State Mike Pompeo delivered a May 21, 2018 speech outlining the Trump administration’s plans to impose the “strongest sanctions in history” against Tehran. 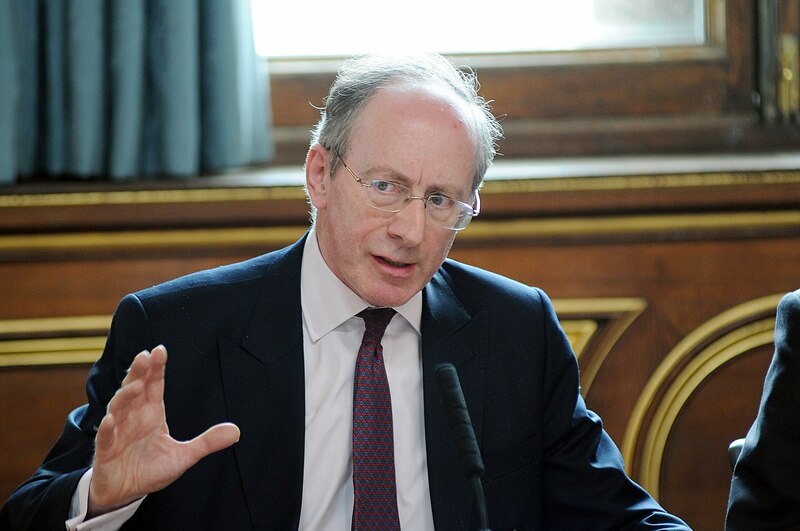 Former British Foreign Secretary Malcolm Rifkind stressed to former Secretary of State Warren Christopher that he believed U.S. sanctions against Iran would fail without comprehensive international support. Former Canadian Ambassador to the United States Raymond Chretien warned U.S. officials that unilateral sanctions against Iran could undermine cooperation on matters of mutual interest to the two nations. 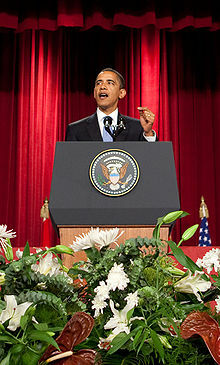 President Obama made a number of diplomatic overtures toward Iran before his administration pursued sanctions, including a 2009 speech at Cairo University promising a “new beginning” for U.S. relations with the Muslim world.